Arabic language classes for adults are becoming increasingly popular in Sweden with a major adult education federation saying more students are now studying Arabic than English or French. 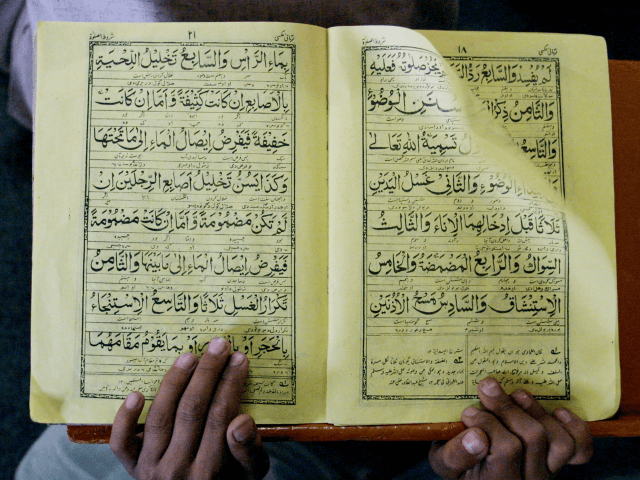 The Swedish educational association Folkuniversitetet, which focuses on language courses for adults and projects with an “international emphasis”, has seen a surge in the number of adults interested in learning Arabic, Sveriges Radio reports. Anas Idlibi, who teaches Arabic at campuses in Kristianstad and Hässleholm, said that the number of Arabic classes has dramatically increased since he started teaching at the association. “I started two years ago with just one course and now we will get nine courses next semester,” Idlibi said. According to Idlibi, one of the reasons for the spike in students has come from professionals like social workers and others who deal with newly arrived migrants. “We have people who work with integration, social, and employment services. They may need Arabic to be more effective at their jobs,” he said. Cristina Boldrini Tisci, who also works at the Folkuniversitetet in Kristianstad in the business department, said that she thought that the reason for the increase was the increase of migrants from Arabic speaking countries coming to Sweden in recent years. “We may need to learn more about the Arab culture to be able to socialise. So it’s getting bigger and there is more interest,” she said. During the height of the migrant crisis in Germany, left-wing Green Party politician Volker Beck argued that Germans should learn Arabic to help newly arrived migrants integrate. Beck was heavily criticised by other politicians for his remarks and was lambasted on social media. Despite the backlash against Beck’s comments, Arabic has managed to find its way into German life.